Each year the AIGA (American Institute of Graphic Arts) hosts a national design conference, inviting the world's top graphic artists to celebrate the best in design and explore the core elements of modern practice. In 2017, the theme was Connection. We ran the pop-up bookstore in Minneapolis October 12-14, and hosted signings with Ellen Lupton, Michael Bierut, Louise Fili, Steff Geissbuhler, Sean Adams, Paula Scher, Wendy MacNaughton & Sarah Rich, and Alina Wheeler. 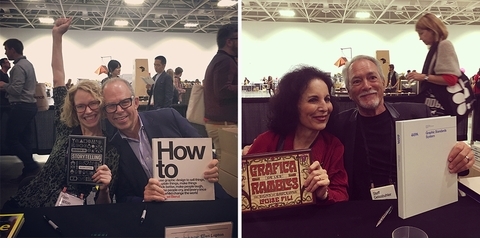 Ellen Lupton and Michael Bierut signing advance copies of their new books on opening night, 2017, alongside Louise Fili and Steff Geissbuhler signing theirs. Signings on day two included Sean Adams, Paula Scher, Wendy MacNaughton & Sarah Rich, and Alina Wheeler. Our AIGA store was curated by Avery Lozada. 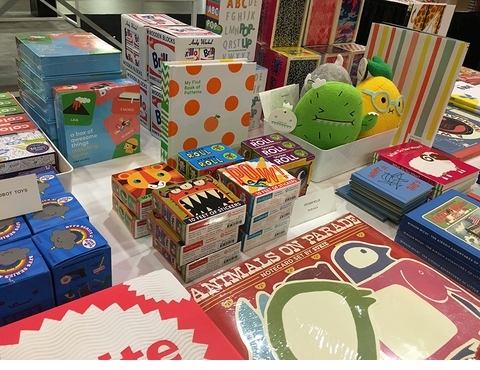 Serious readers were complemented by new and classic monographs and a cheeky selection of children's books, stationery items and toys. 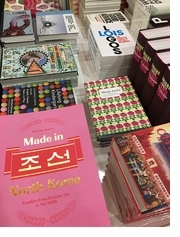 How else to learn about North Korean graphic design? 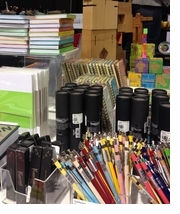 Some of our stationery items from the 2013 fair in Minneapolis, thanks to the Walker Shop, where we run the bookstore, Artbook @ Walker. See pics from our 2017 AIGA pop-up bookstore! Thanks to the AIGA for a wonderful fair last week in Minneapolis, and thanks to Blu Dot for supplying our pop-up bookstore furniture! 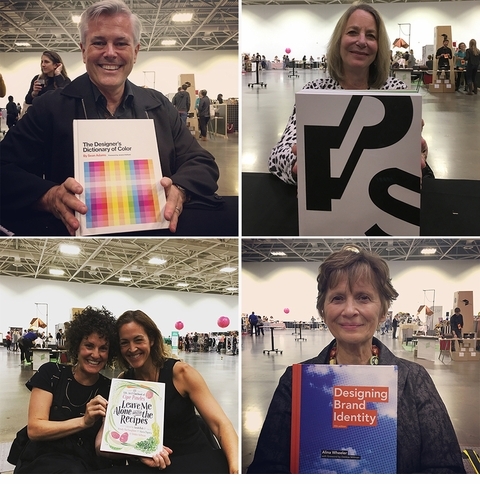 See pictures of our design bookstore, which hosted signings with Ellen Lupton, Michael Bierut, Louise Fili, Steff Geissbuhler, Sean Adams, Paula Scher, Wendy MacNaughton & Sarah Rich, and Alina Wheeler. From Thursday, October 12 through Saturday, October 14, Artbook will run a pop-up design bookstore at the AIGA Design Conference, 2017. Join us for signings with design luminaries Ellen Lupton, Michael Bierut, Louise Fili, Steff Geissbuhler, Sean Adams, Paula Scher, Wendy MacNaughton & Sarah Rich, and Alina Wheeler!